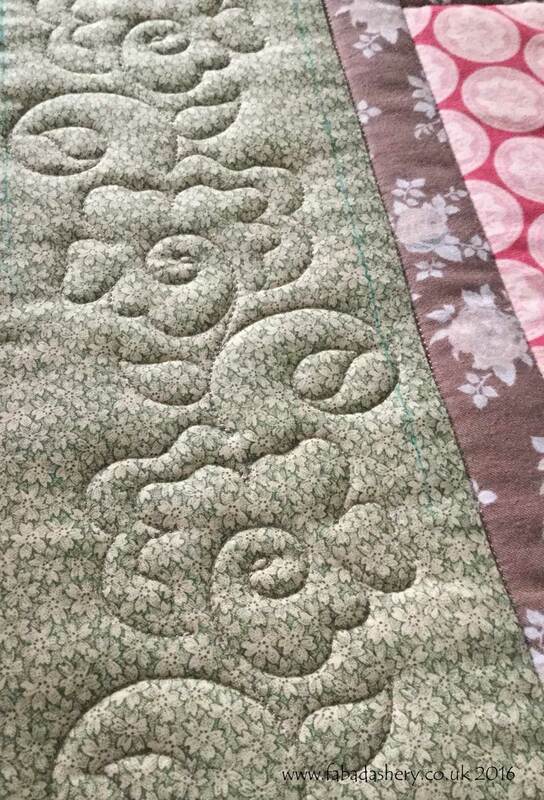 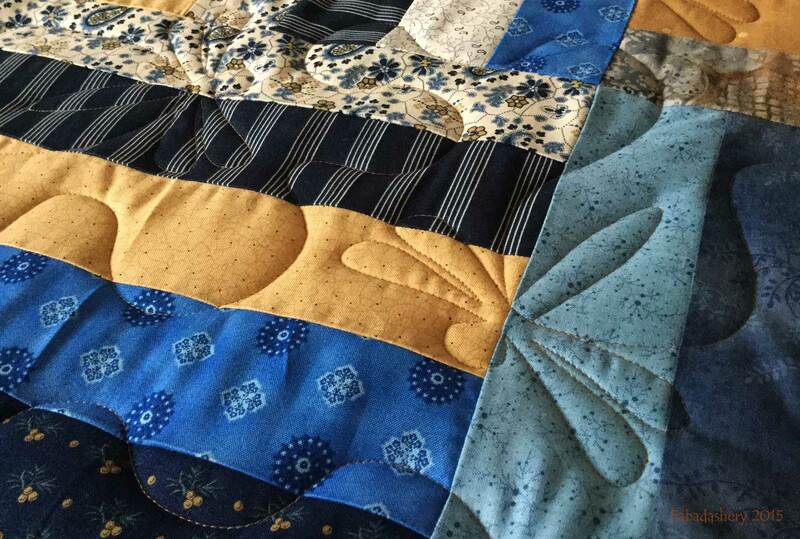 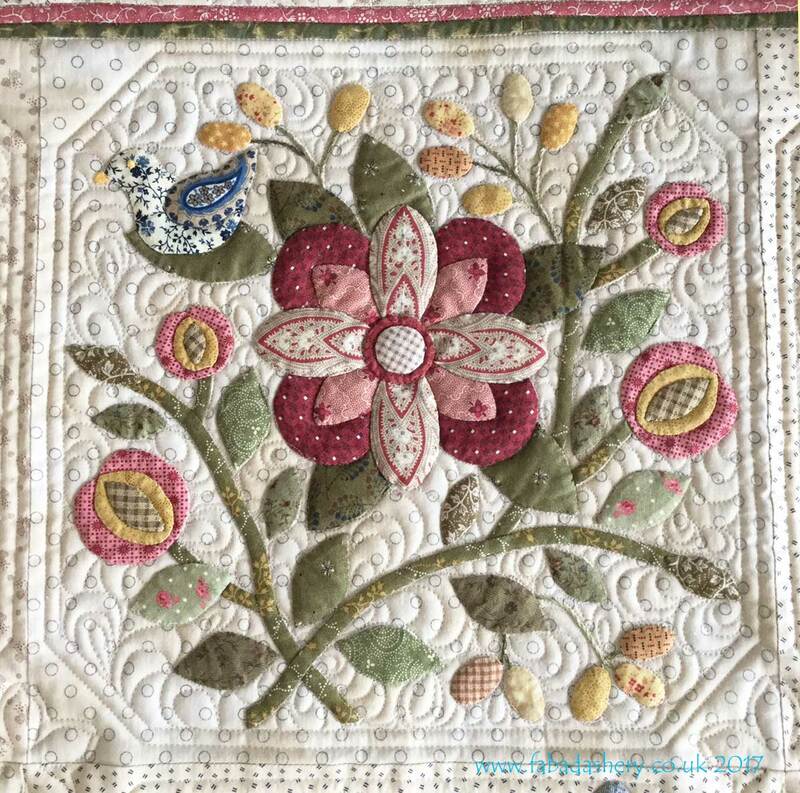 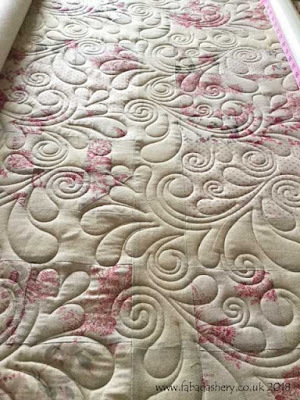 Wow, look at the quilting on this lovely quilt made by Jan! 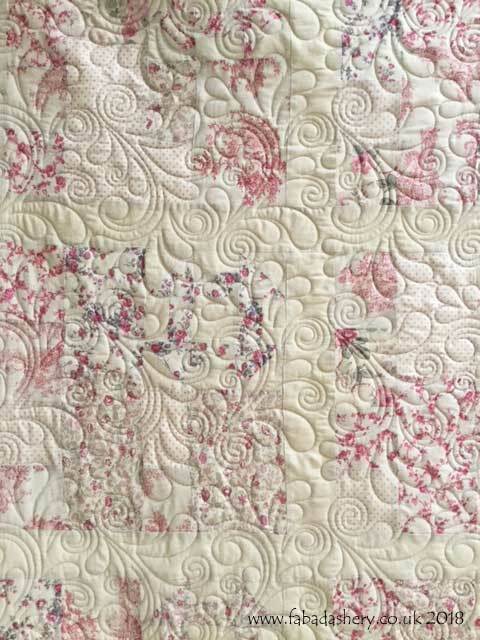 Jan picked up a quilt kit called 'Chambray' from Totally Patched made in a linen look cotton. 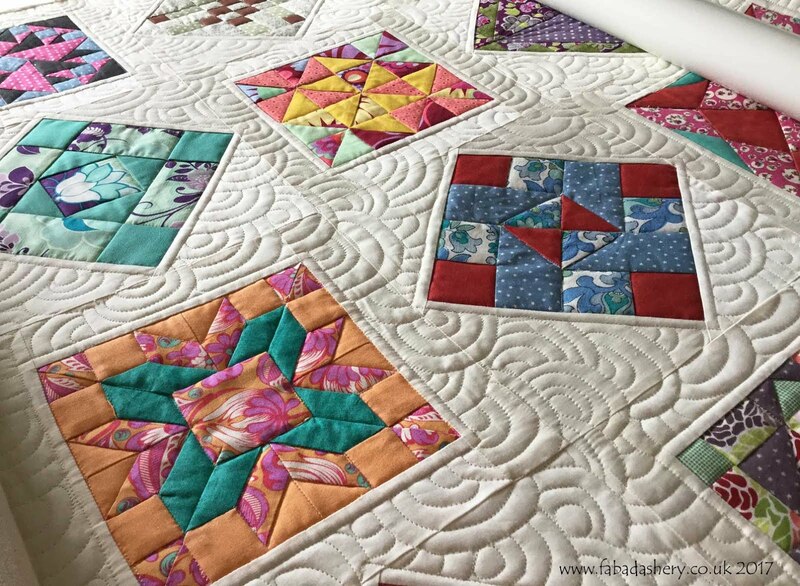 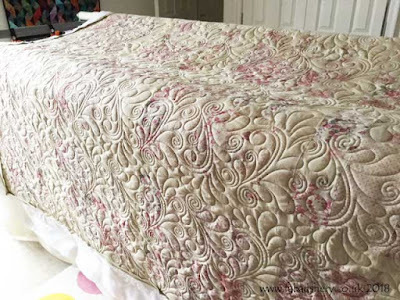 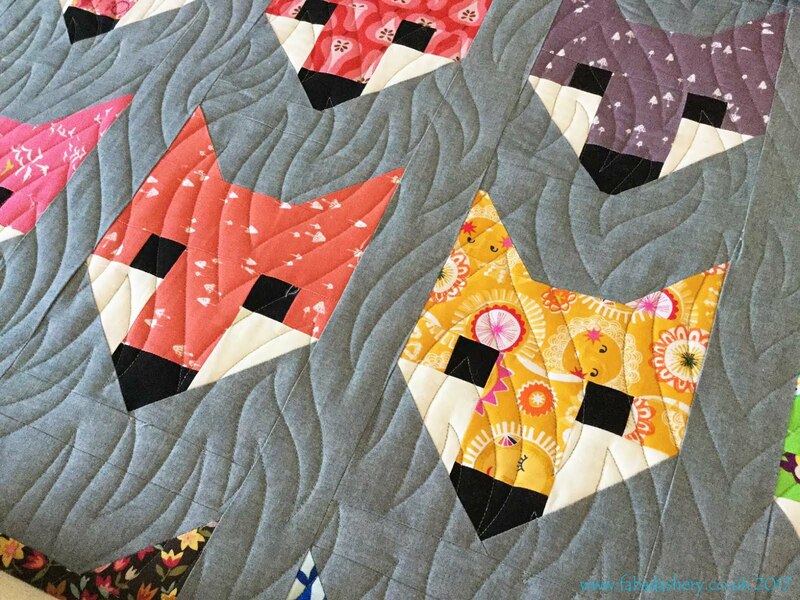 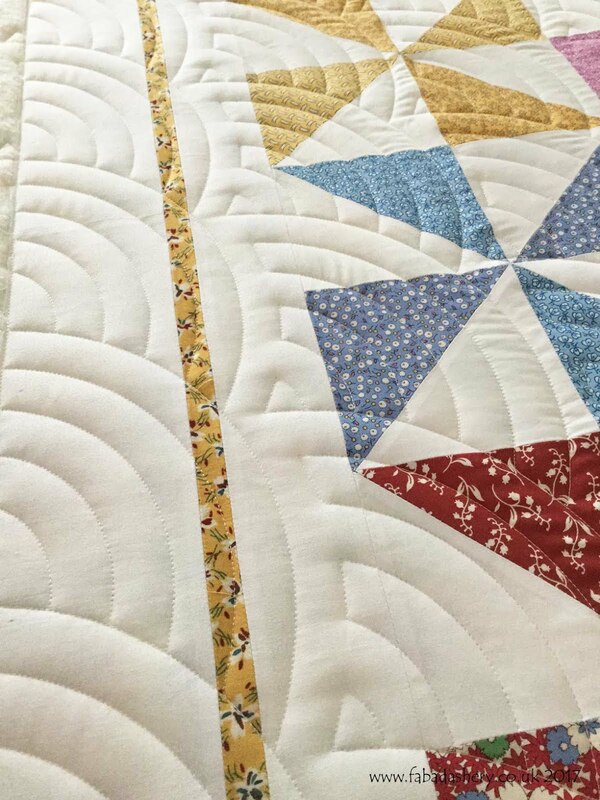 With just a gentle contrast in the fabric, the quilt was perfect for an allover digital pattern and is the sort of quilt you could use anywhere. 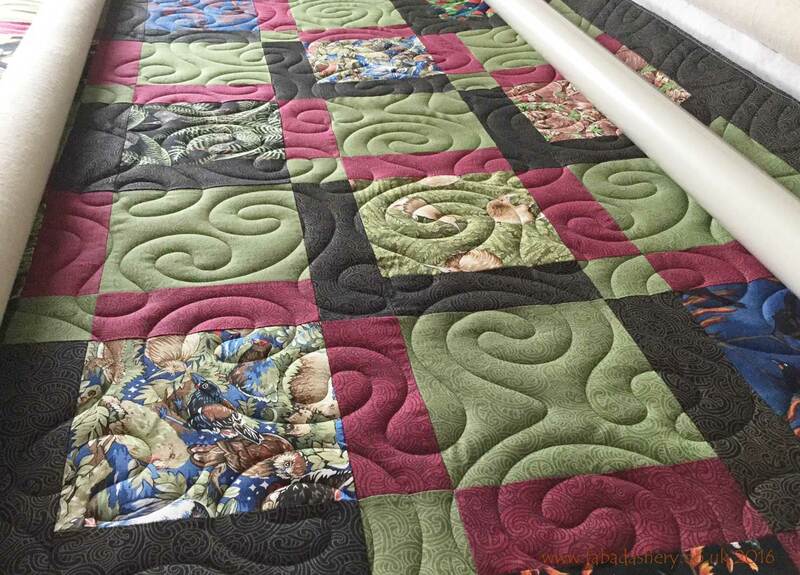 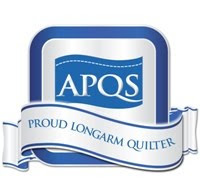 Here is it once I had removed it from the longarm quilting frame - this is one of the best bits of my job! 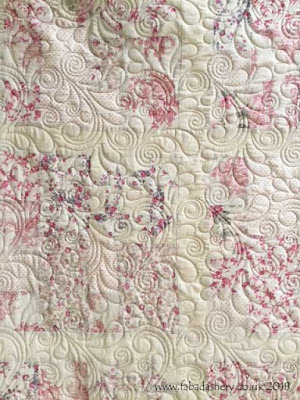 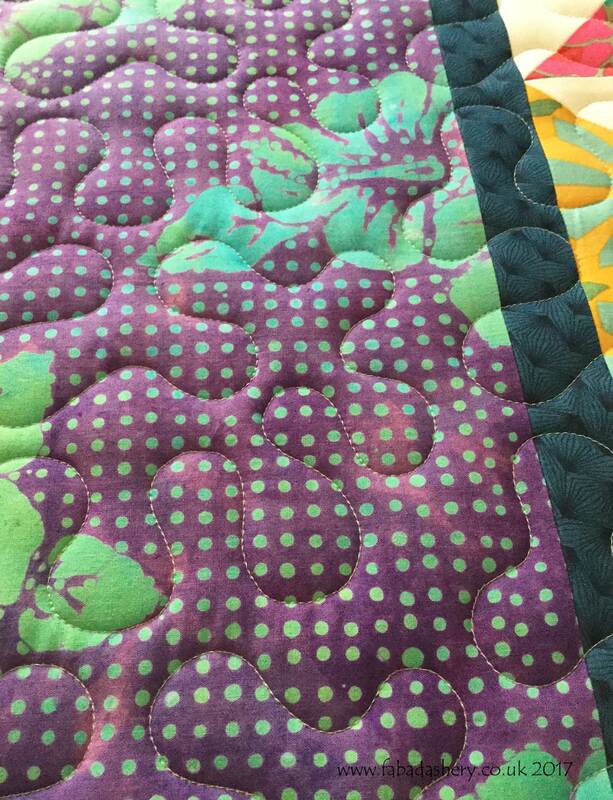 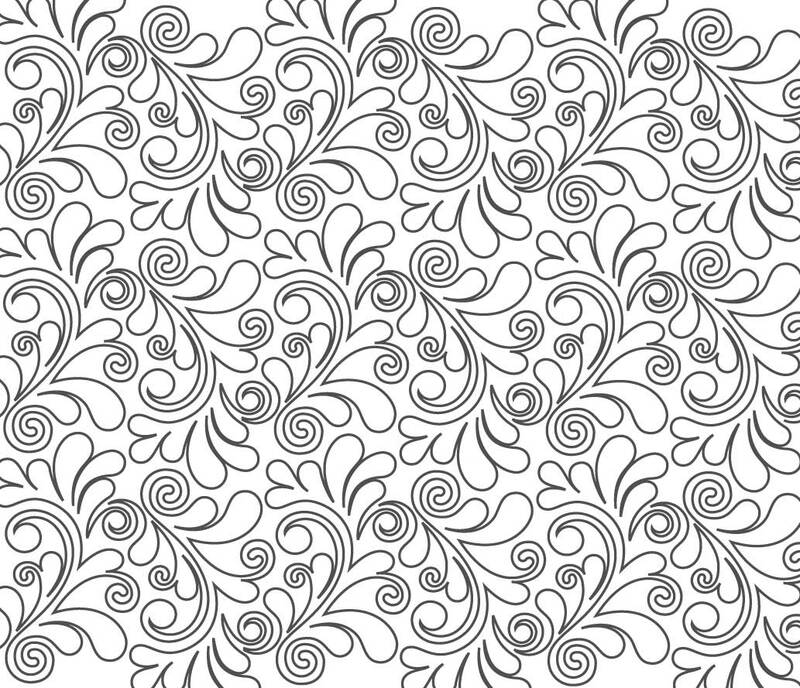 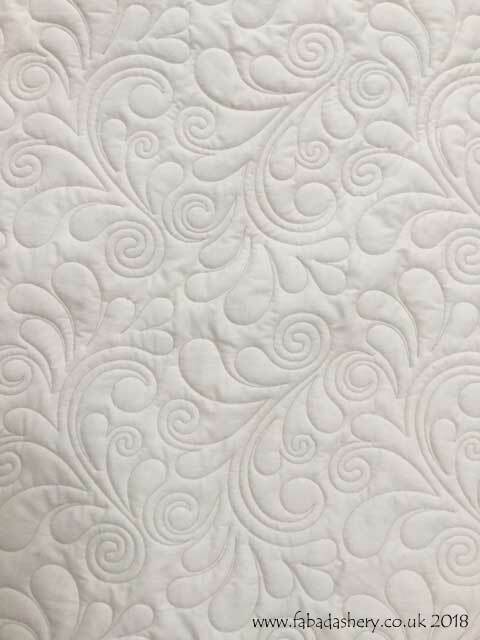 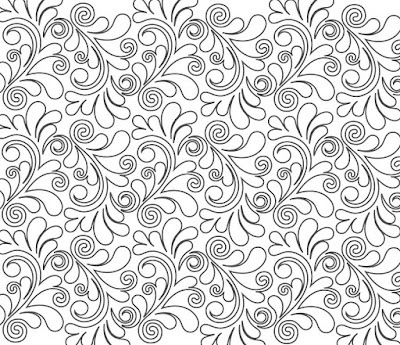 The digital quilting pattern is called 'Nemesh Feathers' and is designed by Bethanne Nemesh. 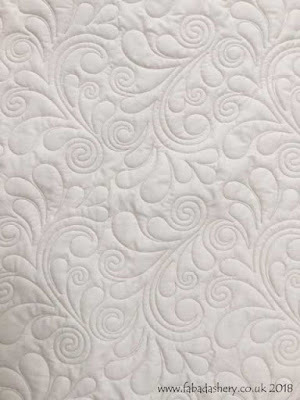 Below is how it looked on the back.